Connecticut Railroads And Railfanning In "The Constitution State"
Connecticut railroads have been established since the industry's infancy during the first half of the 19th century. While the Constitution State has never had many miles of railroad it has held its importance in the Northeastern rail system throughout the years. 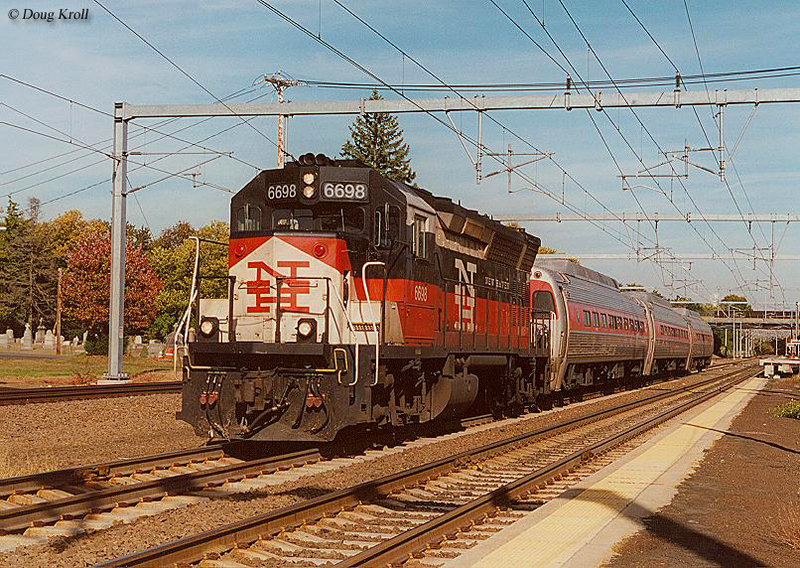 For instance, its most prominent railroad was the New York, New Have & Hartford, commonly known as simply the New Haven. The company stretched throughout the state and provided commuters an important mode of transportation heading to either New York City or Boston. Today, Connecticut is best known for being home to numerous passenger trains, notably Amtrak's Northeast Corridor as well as Metro-North and Shore Line East commuter train services, which play important roles in keeping commuters heading to and from the workplace (and many of these current lines trace their roots back to the NYNH&H). Connecticut railroads have their beginning in 1838 when the Hartford & New Haven completed its line between Meriden and New Haven, a distance of about 20 miles (the H&NH had originally been chartered in 1833 although funding shortfalls caused the completion of the line to be delayed). The H&NH would go on to merge with the New York & New Haven in 1872 to form the now classic New York, New Haven & Hartford system. While other railroads had trackage through Connecticut, notably the Central Vermont Railway none had quite the presence of the New Haven, which had a virtual monopoly (interestingly, a number of classic New England railroads did own lines that came close to entering the state). The CV system had a history that dated back to around 1845 when the Vermont Central Railroad was chartered to connect Burlington, Vermont with Windsor, Connecticut. The railroad had completed the line by 1849 and by 1873 had changed its name to the Central Vermont Railroad as it continued to grow (a few years earlier it also gained control of the Rutland Railway). Bankruptcies in the late 19th century eventually allowed the railroad to be purchased as it was taken over by the Grand Trunk Railway in 1898 (that same year when the CV emerged from bankruptcy it was renamed as the Central Vermont Railway), a system that became part of the Canadian National Railway in 1923. Overall, the CV operated a system that stretched from New London, Connecticut to Brattleboro, Vermont where it used Boston & Maine trackage rights to Windsor, New Hampshire. From there the CV continued on northward to Cantic, Quebec and a connection with the CN. As for the CV's operations in Connecticut, its main line between Stafford (MP 71.4) and New London (MP 121.1) covered exactly 49.7 miles according to the railroad's timetable. The railroad also operated two branches reaching Palmertown and Fitchville. At one time, when the Northeast was a bustling heavy industrial center, Connecticut boasted over 1,000 mile of trackage. Today, that has been cut to just a third of the state's peak mileage at just over 330 miles. 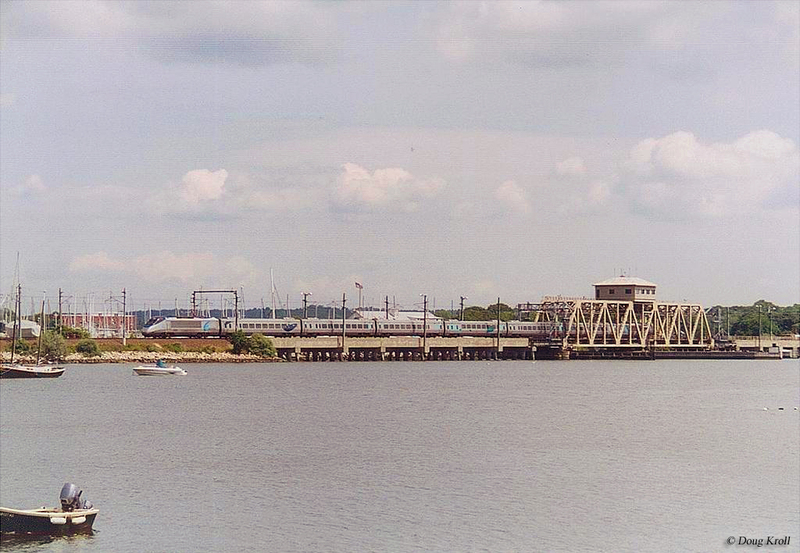 Interestingly, while the New Haven disappeared into the Penn Central debacle (the PC was required by the ICC to take in the floundering NYNH&H system as a prerequisite of its merger proceedings), and later Conrail, much of its trackage in Connecticut remains and its importance is growing as passenger and commuter trains are becoming an ever-more attractive transportation option. 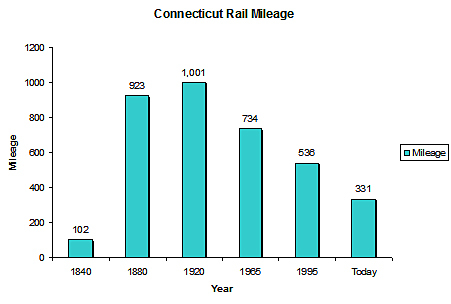 Today, the original New Haven main line is part of Amtrak's Northeast Corridor between Boston and Washington, D.C. For a more in-depth look at Connecticut's rail mileage over the years please refer to the table below, which highlights the state's network from its earliest days through the present. 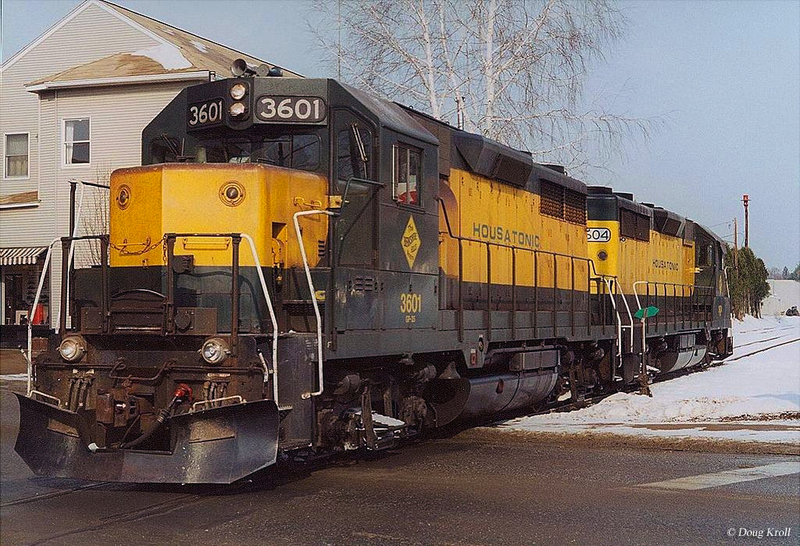 Today, Connecticut's freight is handled by Canadian National, CSX, Providence & Worcester, Connecticut Southern, Pan Am Railways, Branford Steam Railroad, Central New England Railroad, New England Central Railroad, and the Housatonic Railroad. As for passenger and commuter trains outside of Amtrak, this has fallen mostly onto the shoulders of the State of Connecticut, which is another one of the top states in promoting the service. 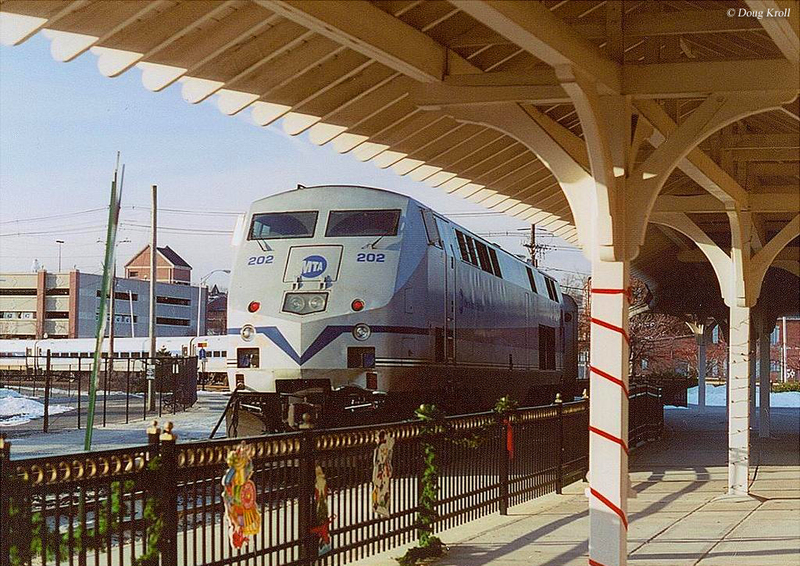 Its services include that of Metro-North (which honors its rail heritage and has painted several locomotives in a New Haven inspired livery) and Shore Line East (which parallels I-95 and gives commuters another option over driving). Aside from the state's passenger and freight rail network it also is home to several railroad museums. These include the Connecticut Antique Machinery Association, Connecticut Eastern Railroad Museum, Connecticut Trolley Museum, Danbury Railway Museum, Essex Steam Train, Naugatuck Railroad, Shore Line Trolley Museum, and SoNo Switch Tower Museum.